Click on image for zoom capability. 1) There are at least three ways daVinci references the Holy Trinity. Find at least 1. 2) There are at least three hits daVinci gives that sets Judas apart as the one who will betray Jesus. Find at least 1. 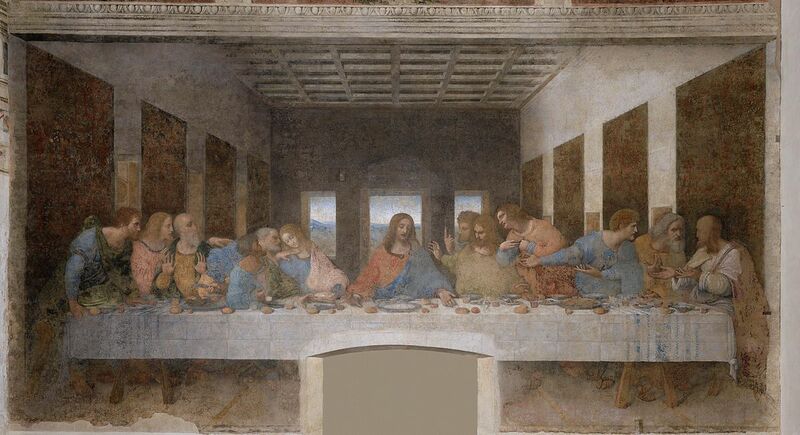 ​3) There are at least three ways daVinci sets Jesus apart? Find at least 1.